The Tre Cime di Lavaredo and the unique mountain landscape of the Dolomites makes Sesto one of the most popular holiday destinations. 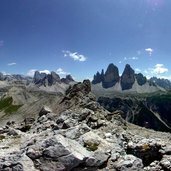 Live webcam View on the peaks of the Dolomites in the upper Val Pusteria. The most impressive mountain area in the Dolomites, the Tre Cime, owns its fame to the village of Sesto. This particular shape of the the rock is an attraction for hikers and mountain lovers and it is the symbol of the Alta Pusteria region. We enjoyed a discovery trip in this wonderful valley, where we can see still nowadays the signs of the disorders of the First World War and where nice and friendly people tell us about their birthplace. View on the parish church of Sesto dedicated to the Saints Peter and Paul. Blooming meadows near Sesto in spring. In the background the Dolomites near the Croda Rossa mountain (Rotwand). The Laghi dei Piani sopra (Bödenseen) are located at more than 2,300 m asl. near the Rif. Locatelli mountain hut (Dreizinnenhütte). The Tre Cime (3 Zinnen) are the most-famous peaks of the Sesto Dolomites and symbol of the Dolomites UNESCO World Heritage. A waterfall in the Val Sassovecchio valley (Altensteintal). View towards the Cima Una mountain (Einserkofel) in the Sesto Dolomites. The Rif. Tre Scarperi mountain hut (Dreischusterhütte) in the Val Campo di Dentro, a side valley of Sesto. View on the Tre Cime mountains in winter. The striking peaks reach a height of almost 3,000 m.
The main village of Sesto is San Vito. View on the Sesto Dolomites from the slopes on the Monte Elmo mountain. Snowmen near the Croda Rossa mountain. The area is a paradise for winter hikers, e.g. to the Malga Klammbach mountain hut. Winter landscape at the Sausbeerwald forest. Whether ski tours or sled rides, the landscape at the Monte Croce mountain pass above Sesto is ideal for nice hours in a fantastic wintry atmosphere. A sunny winter day with view towards the Dolomites. Snowshoe tracks on the way to the Nemeshütte mountain hut. The Tre Cime di Lavaredo in South Tyrol are the symbol of the Dolomites. 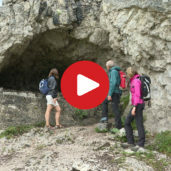 Situated in the homonymous nature park, since 2009 they have been a site of the UNESCO World Heritage together with the other Dolomites peaks. We‘ve captured the magic of this place from the bird‘s eye view! Blossoming meadows and fascinating mountain peaks in the background: the scenic Val Fiscalina Valley is the ideal destination for pleasant hikes at the foot of the Dolomites of Sesto. The Three Peaks need no presentation, we’ll let the pictures speak for themselves. 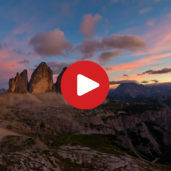 We spent a night near the Locatelli hut to record the most famous landmark of the Dolomites in this time-lapse video. Tobogganing fun in the upper Val Pusteria valley! 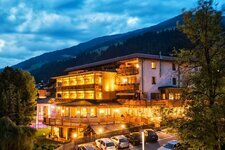 Nestled between San Candido and Sesto, a family friendly toboggan run lies in the snow-covered Valle Campo di Dentro Valley. After around an hour of winter hiking to the Rifugio Dreischusterhütte mountain hut, the pleasant trip down can begin. Winter hiking in snow-covered landscapes surrounded by an impressive mountain world. The area around the Monte Croce mountain pass between the Via Pusteria Valley and the province of Belluno has a lot to offer for passionate winter adventurers. These impressive rock formations are a symbol of the Dolomites, which were formed over 200 million years ago and now attract visitors from all over the world. Wrapped in a white snow mantle, the Tre Cime di Lavaredo fascinate with their unique beauty, which is best expressed from a bird‘s eye view. 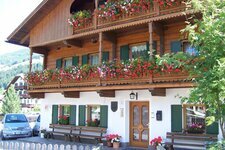 The municipality of Sesto stretches from the entrance of the valley at San Candido up to Passo Croce and does not only comprise the main village S. Vito/Sesto and Moso, but also several mountain hamlets.  The highest point of the municipality is the Cima Tre Scarperi with 3,152 m asl, even if much more famous are the Tre Cime di Lavaredo, attraction for visitors from all over the world. Sesto is located in the Three Peaks Nature Park, where also the famous “Sundial of Sesto”, a series of mountains that are allocated like a sundial, is located. 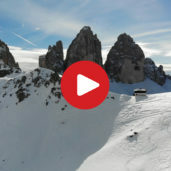 In winter the Three Peaks Dolomites ski carousel in the Sesto Dolomites casts a spell over its visitors, while the meadows at the Croda Rossa, the romantic Val Fiscalina and the Tre Cime di Lavaredo attract people mainly in summertime. 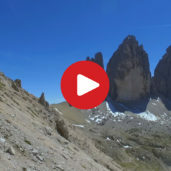 Particularly famous and popular is the tour round the Tre Cime di Lavaredo in the World Natural Heritage of the Dolomites. There is also a special attraction for families: at the Croda Rossa, there is a bunch of reindeers, in winter they often even make a walk on the slopes. Mountain bikers might be familiar with Sesto due to the Stoneman Trail, which was created by Roland Stauder. A real challenge, even for the toughest mountain bikers.